This is a new look at not just the beauty but the symmetry and order that is so often found in the natural world. It is an array of butterflies, beetles and months arranged in a radial formation that allows the total image to be seen as a sum of its individual parts. Each print is 36" square, and is custom printed upon request using archival inks on a heavy-weight museum quality 100% cotton rag paper. 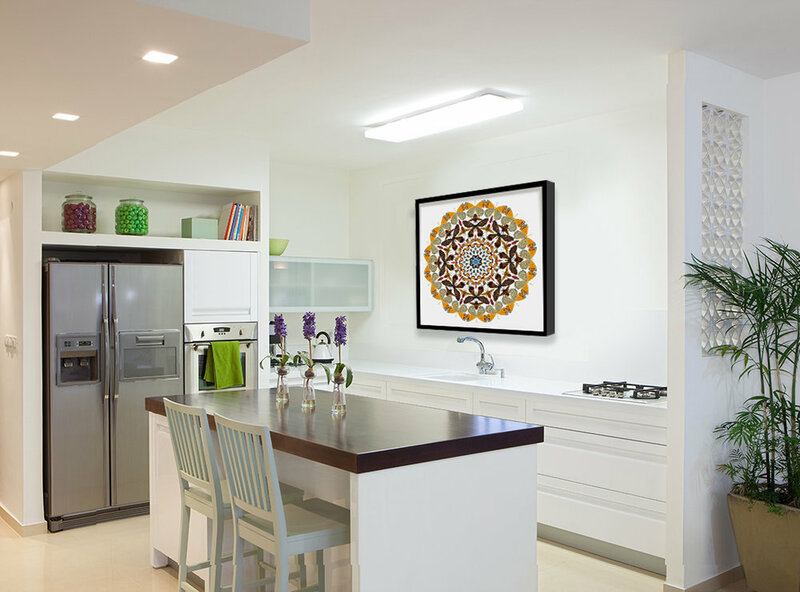 Each print is framed in a flat black molding that is 1 1/8" wide and is guaranteed to never fade or yellow.